Knowledge is an agent’s most powerful tool when selling and leasing commercial and industrial properties, with Jenna Hawkings’ being an exuberant property professional this sets her apart in this competitive field. With a fresh and positive approach to the role, she is always willing to go beyond the call of duty for clients and colleagues alike. 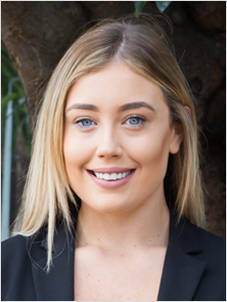 As Head of Commercial Sales & Leasing for Laing + Simmons Parramatta + Granville, Jenna is responsible for handling buyer and tenant enquiries, conducting property inspections, negotiating deals and achieving outstanding results which satisfy the clients’ needs. Her strong work ethic and dedication to the industry means that she is always willing to go that extra mile. Jenna’s personable nature and enthusiastic approach provide the perfect platform for her future success. Her thorough nature and keen eye for detail, along with her dedication and determination for all things real estate will see her progress and work her way up the ranks in the future.